Turkey has seen consistent increases in visitor numbers over the past decade, as travellers realise there is a great deal more to see outside of the wonders of Istanbul. Here Breaking Travel News sits down with Ali Selcuk Can, director, Turkish Culture & Tourism Office, London, to discuss what the organisation is doing to get its message out to consumers. Breaking Travel News: Antalya, on the south Mediterranean coast of Turkey, hosted the World Travel Awards Europe Gala Ceremony in 2013. How important is the hosting of events of this nature for the Turkish tourism brand? Ali Selcuk Can: Very important for the Turkish brand of course, as it was when we hosted ABTA’s annual conference last year. In addition to Antalya, both Istanbul and Izmir are very important as far as MICE tourism is concerned. In fact Turkey is one of the world’s top destinations for congresses, conferences and fairs with many hotels across the country having convention facilities and with purpose-built convention centres present in the major cities of Istanbul, Antalya and Izmir. Going from strength to strength, in 2011 Turkey ranked ninth place in the world for large conventions of more than 500 delegates and in tenth place (joint with Australia) for conventions of more than 300 delegates, according to the International Congress & Convention Association’s report, while its cultural capital Istanbul was ranked first in the world for conventions of more than 500 delegates. Forthcoming events include the prestigious World Horticultural Expo 2016, with eight million people expected to visit the Antalya region over a period of six months, while Turkey is bidding for the 2020 World EXPO in Izmir, which would last six months and attract 16 million visitors. BTN: Which overseas markets are you seeing grow in importance to the Turkish tourism sector? SC: Turkey continues to be one of the world’s most popular tourism destinations with 35.7 million people travelling to the country in 2012 based on WTO data. By the end of August this year 24.09 million foreign visitors had arrived in Turkey – an impressive increase of 10.67 per cent compared to the same period in 2012. For us the greatest potential for inbound tourism to Turkey is from the so-called BRIC nations and also those countries where we have new tourism boards opening. 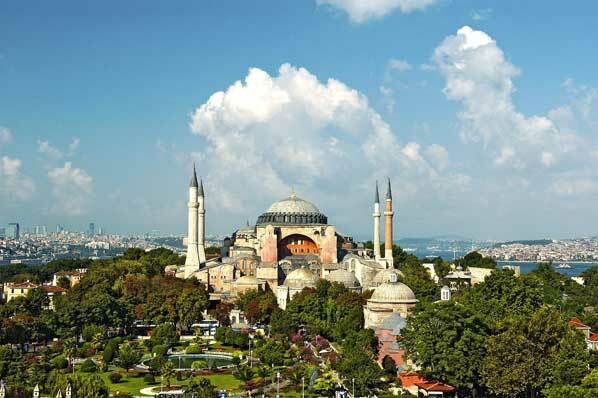 A new Turkey Tourism Office will open in Sydney later this year for Australia and New Zealand. Plus a total of seven new tourism offices are expected open in six new countries: Brazil, Canada, Tunisia, Greece, with two new offices opening in other cities in China and Russia (in addition to the current offices in Moscow and Beijing). Turkey also continues to go from strength to strength as one of the most popular and affordable holiday destinations for the UK. 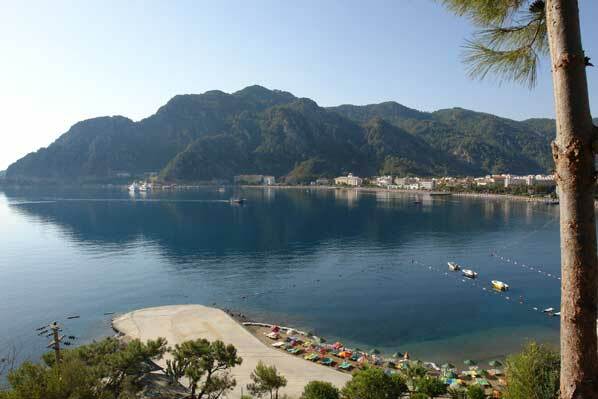 Turkey had attracted 1.74 million British visitors by the end of August 2013, an increase of 2.14 per cent. BTN: How do you see future trends in tourism developing? SC: At the UK-based Turkish Culture & Tourism Office, we are working on decreasing Turkey’s dependence on seasonal trade by focusing on the promotion of such alternative tourism products as city breaks, cultural tours, golf tourism, ecotourism and health tourism. I am one of two new directors who were appointed to the London Office in July with one of my main objectives being to develop the untapped potential of travel in Turkey. Our office has already been gearing up with more individual and group press trips, events and activities planned for the remainder of the year, including trips to Istanbul, Marmaris and Antalya to showcase the varied and world-class travel offerings Turkey has to offer. 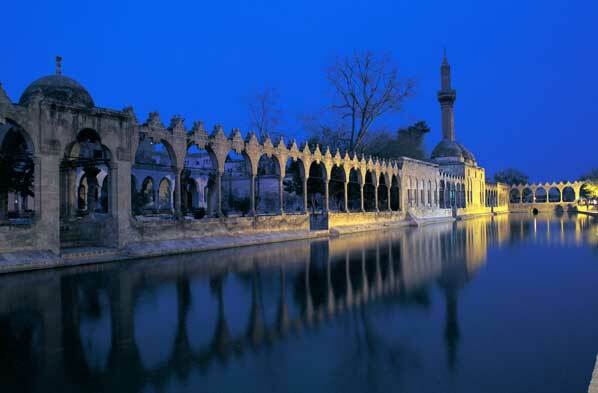 Cultural tourism: Turkey is awash with important sites and significant relics from its long and varied history encompassing many cultures. Many of these have been woven into new initiatives, such as Abraham’s Path in the south-east of Turkey whereby travellers can trek while discovering the cultural riches of the Sanliurfa area. Ecotourism: Again there are new projects where travellers can enjoy an ‘authentic’ experience while respecting the environment and supporting local people. The ‘honey trail’ or Balyolu is one such undertaking in which visitors enjoy the countryside of the Kars region while tasting local honey produced by women entrepreneurs along the way. Health tourism: Turkey has an astonishing number of natural, thermal spas around the country ranking first for this natural resource in Europe. Consequently tourism facilities have taken advantage of these by building establishments nearby and offering treatments using and inspired by these natural springs and thermals. Many of these establishments also offer a traditional Turkish bath experience as well as health and beauty treatments from around the world. Winter tourism: Turkey has many great locations for enjoying a revitalising break in the winter months. With 60 per cent of the country surrounded by majestic mountains as a continuation of the Himalayan Alps, and more than a hundred peaks at over 3,000 metres, there is plenty on offer for winter adventure, with altitudes on a par with the Alps. Most of Turkey’s ski resorts are nestled within forested mountains, providing a stunning setting and breathtaking views for a winter holiday – as well as all the delights of good accommodation, delicious Turkish cuisine, entertainment facilities and great value. Lesser-known regions of Turkey: Many visitors to Turkey focus on the coastal resorts and/or Istanbul but there’s so much to be appreciated and enjoyed elsewhere in the country, including the Eastern, Anatolian and Black Sea regions. BTN: How does the development of the tourism sector help Turkey develop more generally? SC: Tourism is one of the most dynamic and fastest developing sectors in Turkey and tourism earnings are a significant contributor to the real GDP of Turkey. Alongside the growth of this sector the general infrastructure of the country is being constantly upgraded as well as jobs being created for local people. In 2012 35.7 million foreign visitors entered Turkey and tourism revenues exceeded US$25.6 billion. The total contribution of travel and tourism to GDP was TRY141.8 billion (10.9 per cent of GDP) in 2011, and is forecast to rise by 1.9 per cent in 2012, and to rise by three per cent per annum to TRY195 billion in 2022. In 2011 the total contribution of travel and tourism to employment, including jobs indirectly supported by the industry, was 8.1 per cent of total employment, or 1,939,000 jobs. This was expected to rise by 3.4 per cent in 2012 to 2,004,500 jobs and rise by 1.4 per cent per annum to 2,310,000 jobs in 2022. BTN: Just over 30 million international visitors arrived in Turkey in 2012, making it the sixth most visited destination on earth, according to figures from the United Nationals World Tourism Organisation. Where do you hope to stand in the rankings in ten years time? SC: The plan, to be put in action from 2014, is to boost arrivals from 35.7 to 50 million by 2023, the year that marks the anniversary of the founding of the Republic of Turkey. Details of the 2023 strategy can be found here.